In 1937 Congress passed the Marihuana Tax Act which effectively began the era of hemp prohibition. The tax and licensing regulations of the act made hemp cultivation unfeasible for American farmers. The chief promoter of the Tax Act, Harry Anslinger, began promoting anti-marijuana legislation around the world. To learn more about hemp prohibition visit http://www.JackHerer.com or check out "The Emperor Wears No Clothes" by Jack Herer. Then came World War II. The Japanese attack on Pearl Harbor shut off foreign supplies of "Manila hemp" fiber from the Philippines. The USDA produced a film called Hemp For Victory to encourage US farmers to grow hemp for the war effort. The US government formed War Hemp Industries and subsidized hemp cultivation. During the War and US farmers grew about a million acres of hemp across the Midwest as part of that program. During the period from 1937 to the late 60's the US government understood and acknowledged that Industrial Hemp and marijuana were distinct varieties of the cannabis plant. Hemp is no longer recognized as distinct from marijuana since the passage of the Controlled Substances Act (CSA) of 1970. This is despite the fact that a specific exemption for hemp was included in the CSA under the definition of marijuana. * 1956: USDA - MONOECIOUS HEMP BREEDING IN THE U.S. These documents and many more are published online by USA hemp historian extraordinaire, John E. Dvorak. His Digital Hemp History Library is the most complete source for historical hemp documents and data anywhere. To visit the Library click here. If you do the math, everyone in the world could fit within the State if Texas, having a space of land approximately 30' by 30'. There's plenty of land. The problem is greed, lust for power and oppression. The ocean by itself has enough food to feed the population. Help is an incredible crop that could easily feed the world, provide clothing, biofuel, building materials, paper products, et cetera. The first paid of Blue Jeans in America were made of hemp. The U.S. Constitution was written on hemp. George Washington grew hemp. Hemp oil is a great diesel fuel. 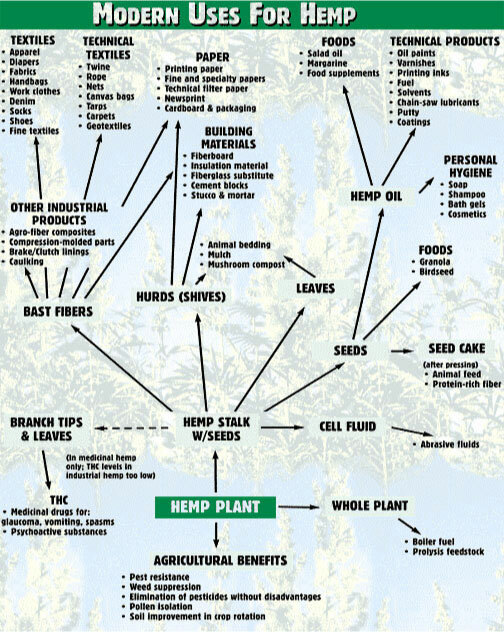 Hemp has 25,000 known uses! Hemp can withstand frigid weather, drought, and yields twice as much fiber as the same amount of cotton. 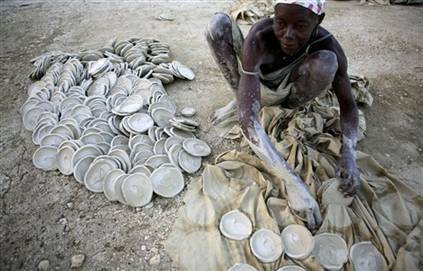 Given their freedom, taught agricultural techniques and provided with the basic means to get started, world starvation would come to an end soon. There's not too many people; there's too much government. Piles of wheat sit and rot while the poor starve. The Globalists have wrecked the third world, putting them on welfare, turning them against the domestic population, and waging war against the middle-class. They then disarm the public. Ultimately, the central banks profit and win by exerting pressure from below and above on the middle-class. It's all by design! The Globalists want to achieve a Godless Global Totalitarian Communist Police State, aka, the New World Order. To do this they must enslave humanity. Thus, the fraud of overpopulation is being used to fuel tyranny, sterilization, forced abortion, et cetera.